Renault has something Daimler needs, expertise in making low-CO2 small cars. PARIS (Bloomberg) -- Daimler AG's and Renault SA's boards approved plans for a global alliance focusing on sharing small-car technologies and development costs, according to people familiar with the matter. 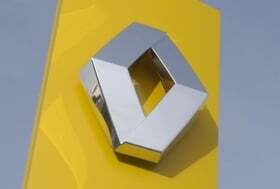 A deal involving Renault and Japanese partner Nissan Motor Co. swapping stakes with Daimler is set to be announced tomorrow, said the people, who asked not to be identified before an official statement. Daimler CEO Dieter Zetsche and Renault-Nissan CEO Carlos Ghosn will attend a joint press conference in Brussels tomorrow, according to invitations from the carmakers. Automakers are under pressure to cooperate as sales remain depressed in the recession's aftermath while deadlines loom to meet tougher exhaust-emissions rules. An alliance of Daimler and Renault-Nissan would follow a tie-up between Volkswagen AG and Suzuki Motor Corp. earlier in 2010 and Fiat S.p.A.'s taking a stake in Chrysler Group last year. Europe's tougher CO2 rules start to take effect in 2012. Florian Martens, a spokesman for Daimler, and Caroline De Gezelle, a spokeswoman for Renault, declined to comment.